Don't forget to check out day one, two and three first! Now I'm just going to put this out there - I'm pretty certain day four was our best day at Disney. We woke up feeling great, after three rather tired days in the park, and we headed for breakfast at around 8:45. We ended up getting to the park for around 9:15 and headed straight to the Princess Pavilion. For those of you that don't know, the only real way to meet a princess at the park is through the Princess Pavilion - tickets are allocated when the park opens (ours was at 10am) and there are a limited quantity. We ended up getting done with the queue about 10:30, which wasn't too bad, and then headed over to Discoveryland to check out the rides there. We got onto Space Mountain pretty quickly, as it only had a five minute queue, and then went on the Buzz Lightyear ride, which I totally beat Sophie on. We then went on Orbitron before heading to Fantasyland for Casey Jr and Adventureland to go on Pirates of the Caribbean. We also squeezed in Frozen: A Royal Welcome and the Christmas Parade again, before watching Royal Christmas Wishes on the stage. We also made sure to take a walk round the castle that day, as well as going to check out Cinderella's carriage. 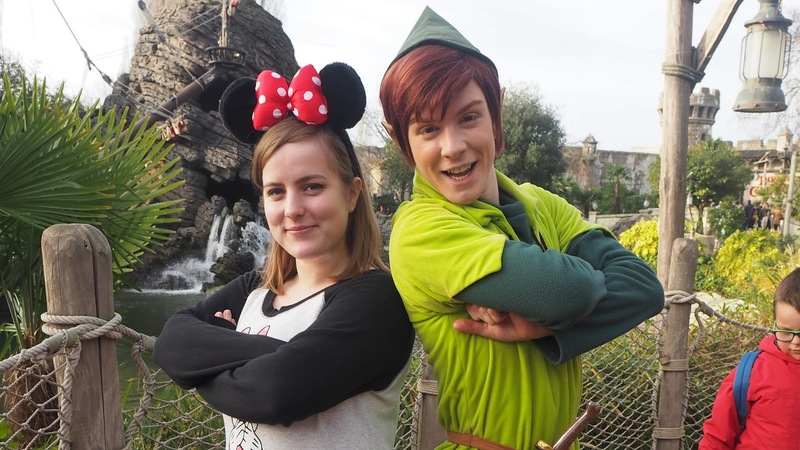 For those of you that aren't aware, Peter Pan is one of my favourites, and I'd heard it was pretty difficult to meet him in the park in winter. I'd sort of given up hope by Thursday, but as we were walking from Hakuna Matata back to Fantasyland (as Hakuna Matata was shut) we walked past a group crowding around someone. I asked Sophie to go check, and turns out it was Peter. I then, obviously, got super emotional and almost cried. We went to Casey's again for lunch as Hakuna Matata was closed, and both got chicken nuggets. We then headed over to our time slot at the Princess Pavilion. The Pavilion does work a little annoyingly, because not only do you have to queue really early to get a ticket, you then only meet one princess when inside. 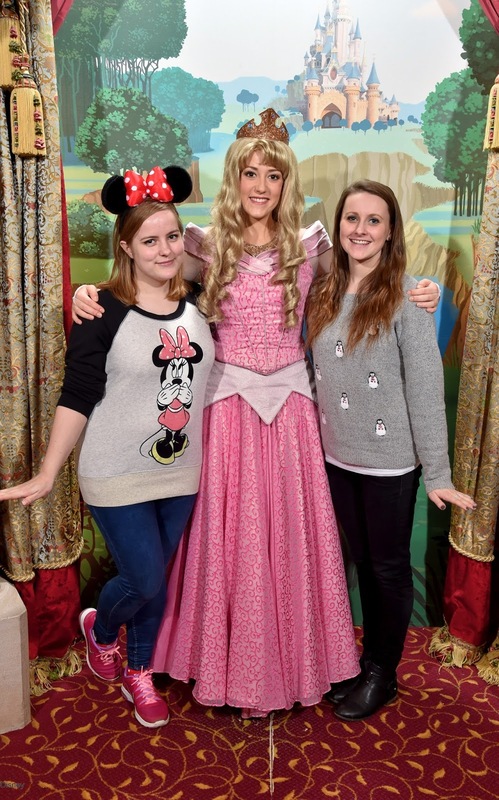 The princesses are on a rota, so it's completely pot luck of who you get to meet, however the staff were lovely and listened to our preferred princesses. We ended up meeting the beautiful Aurora, who was an absolute delight. We found out after that the other room had Snow White in, but then Rapunzel (who was our other top princess to meet) came into the room next. In the evening we watched the Magic on Parade, the Christmas Tree light switch on and then went for Diner at Annette's Diner. We came back to watch the firework show for one last time, and then headed back to the hotel to pack our bags. Sophie ended up vlogging this day, so check it out below!